This interactive, energetic and entertaining presentation will enable participants to recruit and manage top candidates by learning the differences between generations X, Y, Boomers, and Matures, and their work habits and goals. Candy will also share her knowledge of gender differences in order to help participants understand that there is truly a difference in communication and conflict management between the genders. Those who have experienced Candy, know this presentation would not be the same without one of her famous activities! Put on your hardhats, you will be building a BRIDGE! The genetics portion of the presentation will expose the 4 personality styles and how each personality contributes to the organization's vision and goals. Understand HOW to motivate, communicate and negotiate with the Baby Boomers to the Baby Z’s! Understand 5 key ideas about each generation…like what is their work ethic? How do we keep the Generation Ys from moving to the next job? Bridge the Gap by working as a cross-generational team and building a bridge…literally! – Noel C. Lavezzi, Marketing Manager, Technical Consumer Products, Inc. 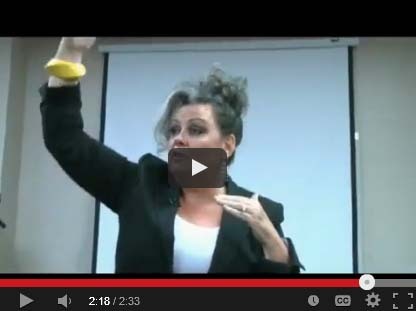 Clip from a Bridging The Gap session answering What Motivates Each Generation?